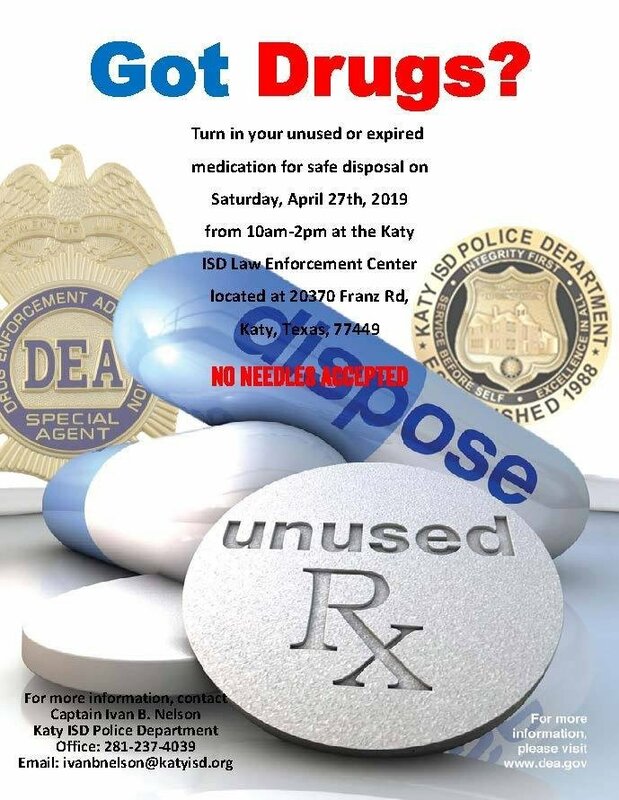 The Katy ISD Police Department will be hosting a "Drug Take Back Day" on April 27, giving residents a chance to drop off expired and unneeded prescriptions and over-the-counter medications...No questions asked! @Tiki60 : It's not, but sometimes meth heads get confused. @Tiki60 : anytime. Always happy to help. @KatyDotCom : anyone know where to return unused diabetic syringes? @Frodobaggins : I doubt meth heads will return any! @Wildone : I saw a story that some genius did do that. They obviously arrested him. @KatyDotCom : why would there be questions? Not thinking many script dealers would turn in their products.